That cover quilt is on my list of quilts to make. 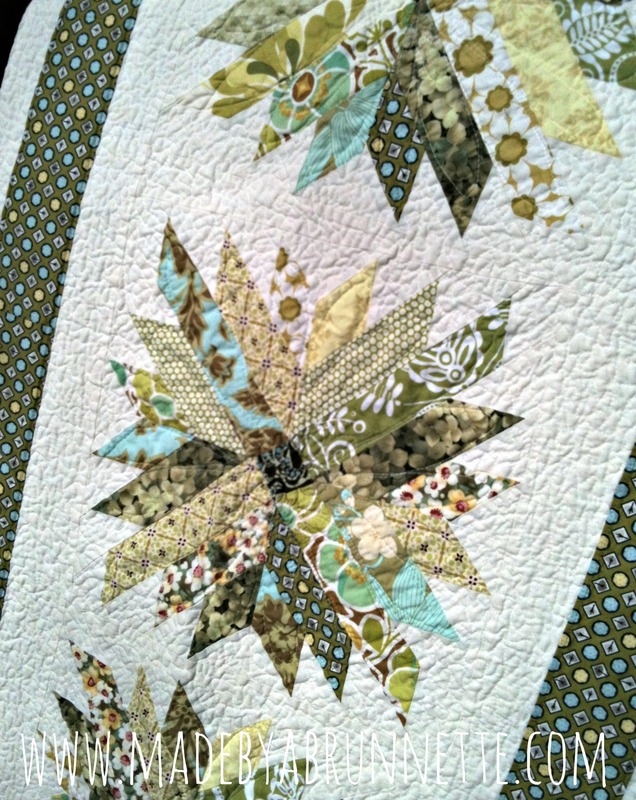 And there is a New York Beauty inspired 2-color quilt that I seriously covet. 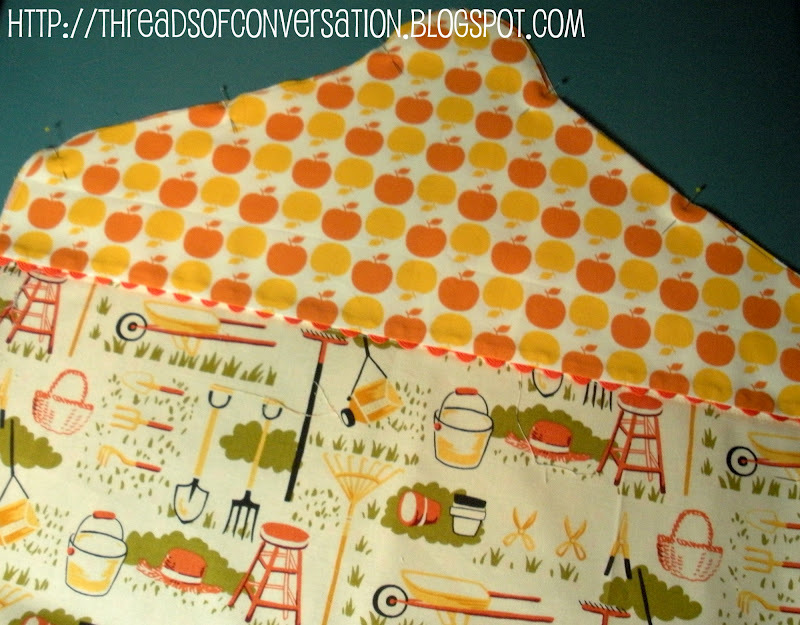 She even included a piecing tip/tool tip she learned from yours truly. from her shop and receive free shipping in the U.S. ! Don’t wait, July will be here before you know it! Go order one, now! 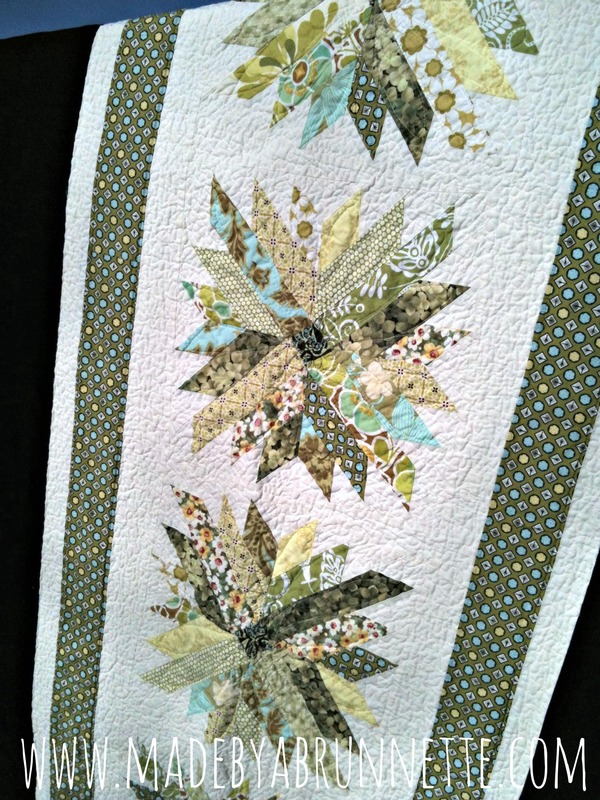 It’s a traditional block, Chrysanthemum, in scraps of greens, border is an Erin McMorris print, and Espresso Brown solid on outer borders. 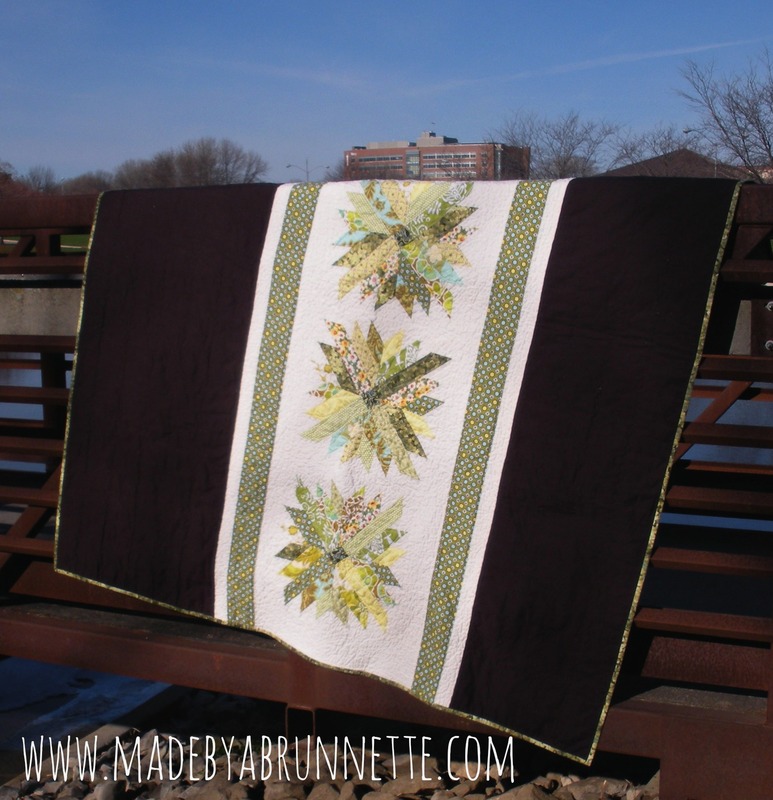 Yes, it is on the list for making into a pattern for Row House Creations. 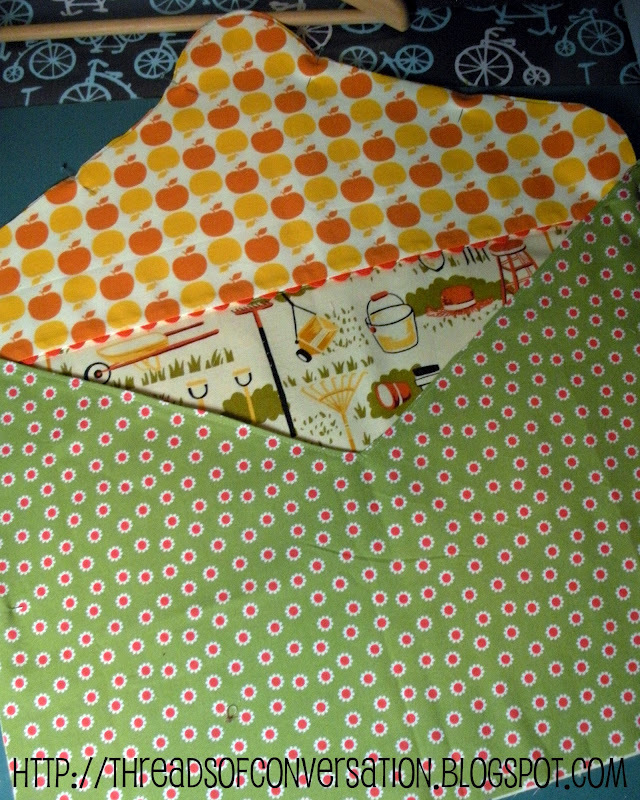 I’m such a fan of that Cut & Sew fabric line, it’s adorable and the colors are yummy. 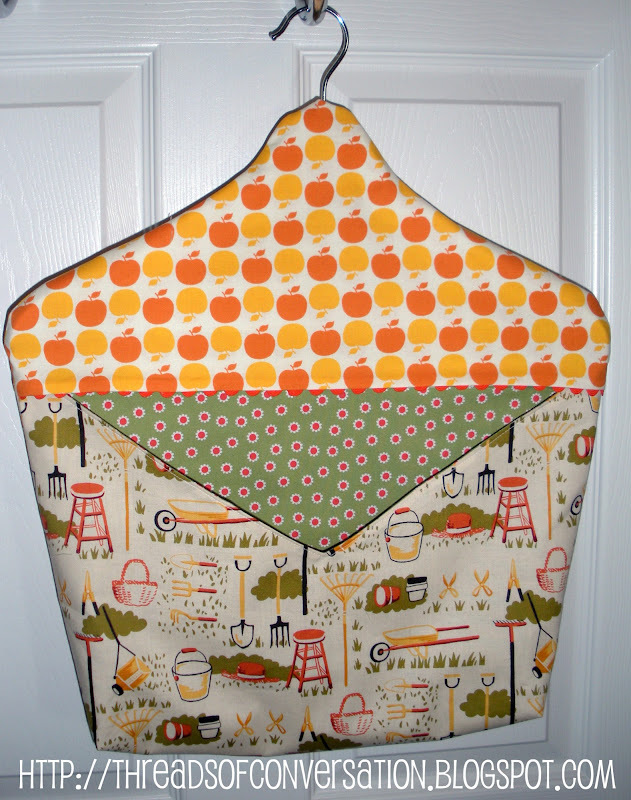 One of my sewing goals for 2013 is stash reduction, and this project helped use a little of it up! 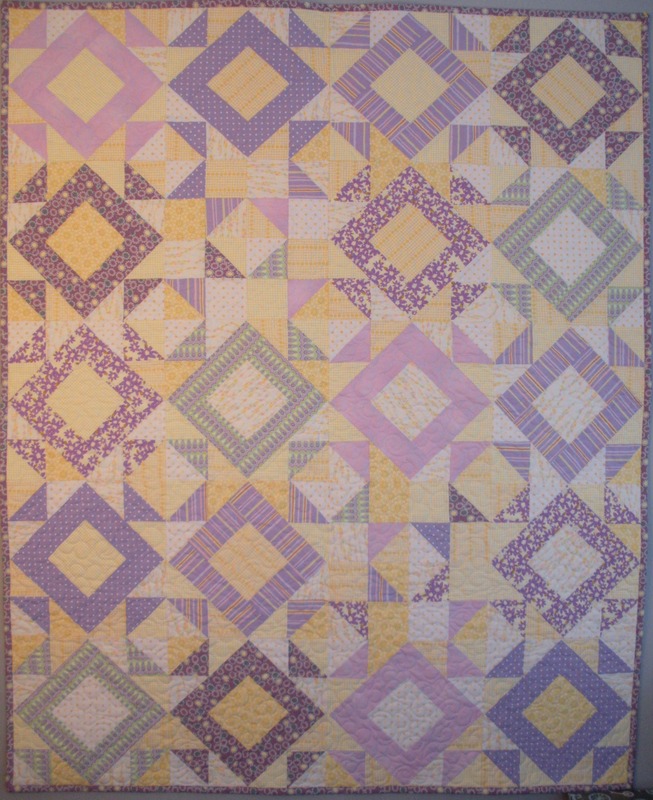 So far this year, I have only bought one charm pack (Posy by Aneela Hoey) and I have used 5 yards for a quilt back that went to the longarm quilter last week, and 1.66 yards for this project (to get the length of the ironing board, with some obvious waste that went to the scrap basket). 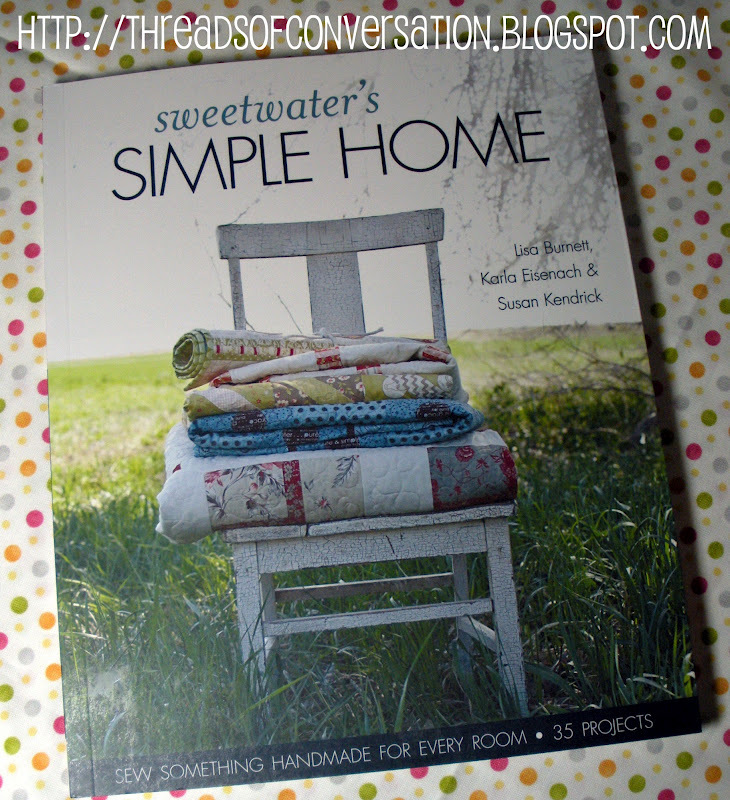 Sweetwater’s Simple Home is one of the two books I picked up last weekend at Quilts and Other Notions in Creston, Iowa. 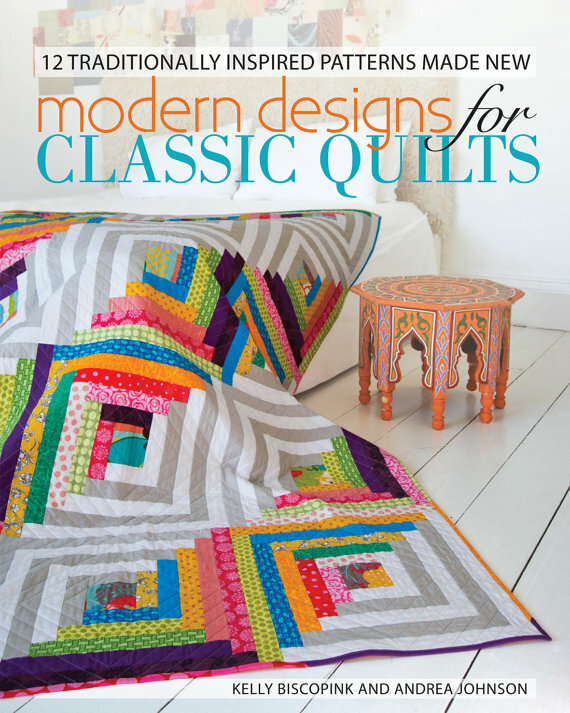 Released in September 2011, it features 35 simple and practical sewing and quilting projects by Sweetwater Design; a mother daughter team, fabric and pattern designers for Moda, and all around creative powerhouse. The layout and images are lovely, but my favorite feature of this book is that projects are grouped by different living areas of the home. Also included in the book are simple techniques and tips for decorating with appliqué, stenciling, stamping, and embroidery. I’m excited to try many of the ideas in this book, besides just gawking at it because it’s so pretty to look at. 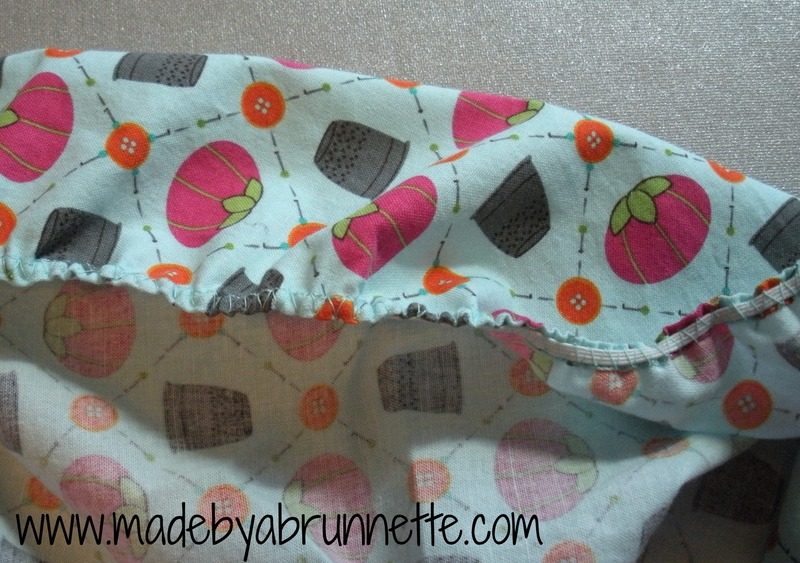 The pattern calls for two fabrics, I added a third contrasting fabric for the inside of the bag. 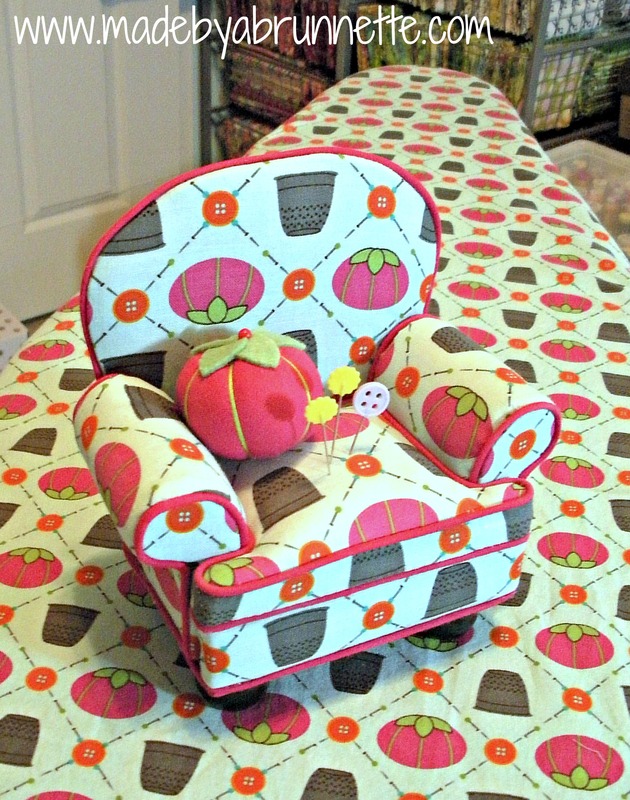 I used a piece from the Farmer’s Market collection by Sandi Henderson (the apple fabric), Sweet Pea by Jackie Shapiro (the green floral) and Farmyard by Sentimental Studios (the gardening print). Three different designers, three different manufacturers, and they coordinate perfectly. 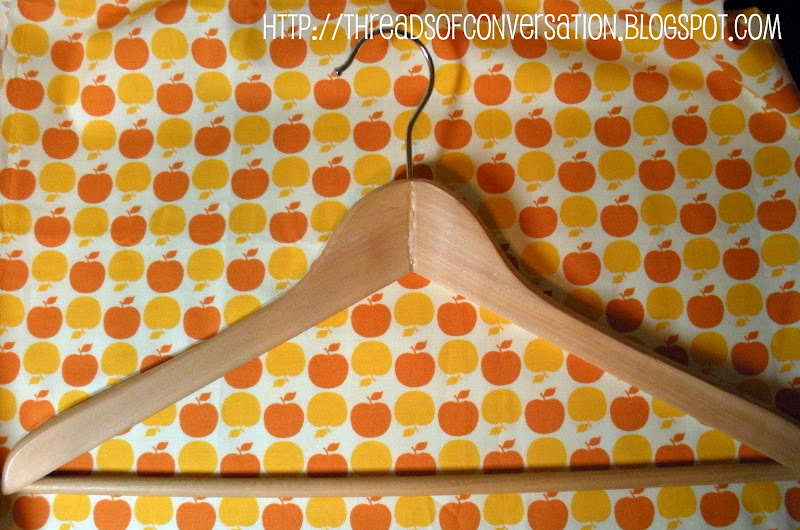 That is “stash sewing” at it’s best, readers! 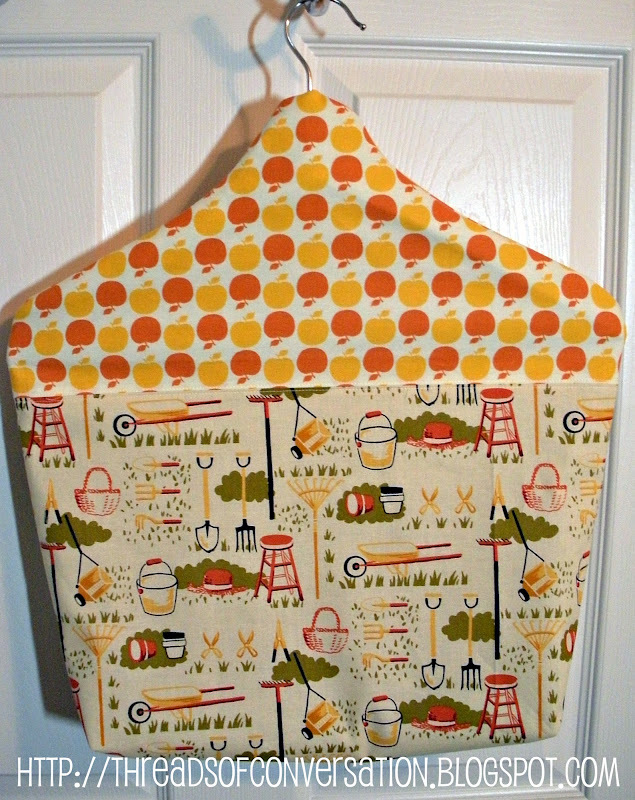 Makes me wish I had a clothesline myself. Last night was the second meeting of the Des Moines Modern Quilt Guild–we had a few less attendees, but the weather was awesome, so I suspect some were outside enjoying family time on a pleasant Summer evening! We are still finding our groove… and have some ideas for pumping up the next meeting already! The sixteen of us that came shared our favorite quilting books with the group, and let me tell you, my Amazon wishlist grew a bit last night! WARNING: Reading this post may do the same to you! 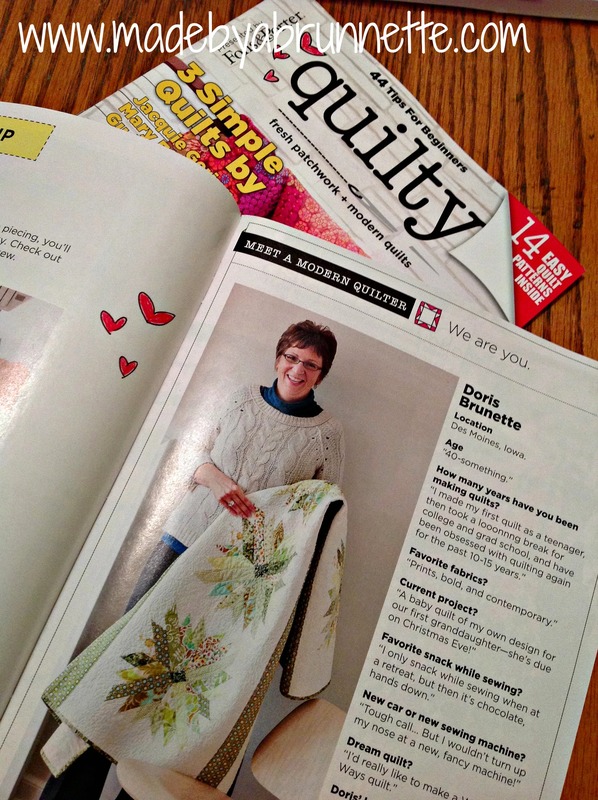 Tricia brought along a book about creating your perfect Quilting space, because let’s face it, which one of us doesn’t have that dream studio floating around inside our heads? I’ve seen Tricia’s sewing space, it’s big, but it’s in an unfinished basement that serves as her boys’ playroom and her work-at-home-hubby’s office as well–dream big Tricia! 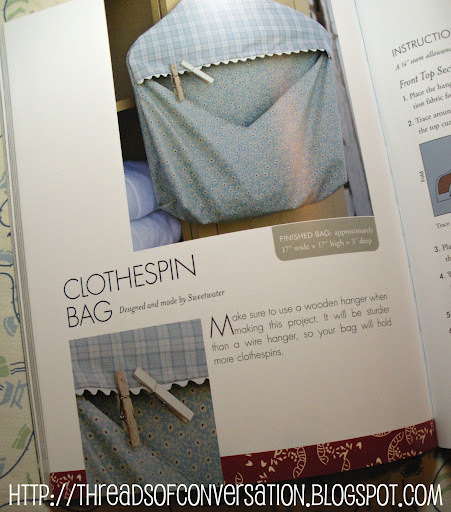 I have a copy of that one in my library, too–great resource even if you only have a small corner of a room to fix up into a proper sewing area. Crystal and Jill M. both mentioned Malka’s book as one of their newest faves, but didn’t bring a copy to share… I have a copy gifted to me for Christmas by my friend Toni, and I can assure you it is well worth the price! It’s so full of fun, bright colors and fresh project ideas. 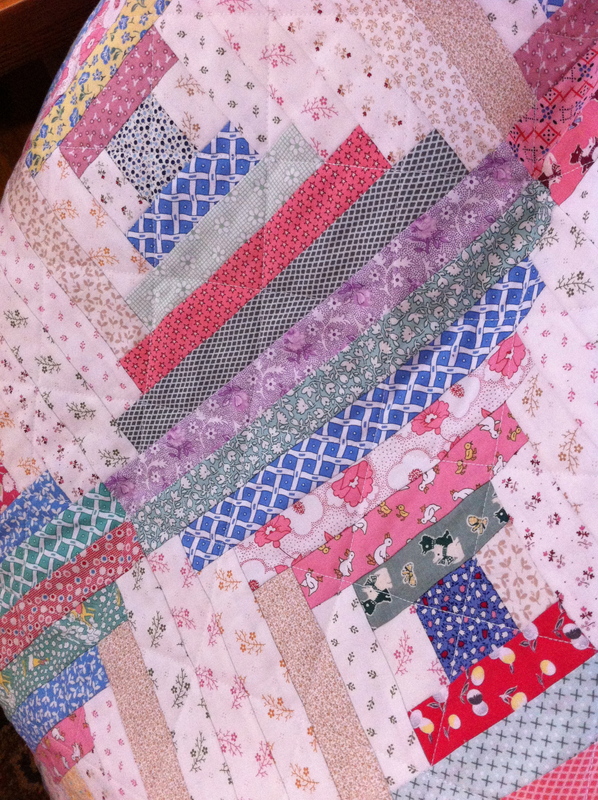 Kris shared Linda Otto Lipsett’s Remember Me, a book of quilt history talking about signature or friendship quilts, like the one Victoria is collecting blocks for. There are no patterns, just diary entries and stories of groups of girlfriends from days gone by doing the same things we are doing today via flickr and the blogosphere… Kris also shared that she’s enjoyed everything written by this author. Karen is a relatively new quilter and she shared this book, The Ultimate Quilters Visual Guide, given to her by the person who first introduced her to quilting. It’s her fave because of the personal connection, but it is also a valued go-to answer book when she comes across a term she doesn’t recognize, or a method that’s new to her. BTW, Karen writes a fun blog, you should check it out! Our resident linen and asian fabric devotee, Veronica, brought along FIVE faves, all by Japanese designers, and we all had fun gawking over those. Many of the intructions are in Japanese, but the photos and illustrations are amazing, and one really doesn’t need to read the instrctions, anyway, right?!? This one is so being added to my library next week! A book I had not heard of before, but was shared by Maria, Stash Happy Patchwork is full of super cute small projects…yeah, I’m buying this one too! I mean, look at that adorable cactus pincushion?!? 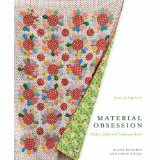 More than a few of us mentioned that we love the Material Obsession and Material Obsession Two books… I have MO-1 and used it to make this quilt, (which is at my quilter’s house right now). Our Guild happens to meet at a local library and I know the library has them both in their stacks. I’ve checked MO2 out from there before. Both fabulous books for inspiration and unique patterns. Until I saw this book in person last night, I thought, why would I need a book on log cabins, it’s a basic pattern and so easy to interpret yourself into a new design? Well, let me tell you, this is a fabulous book! 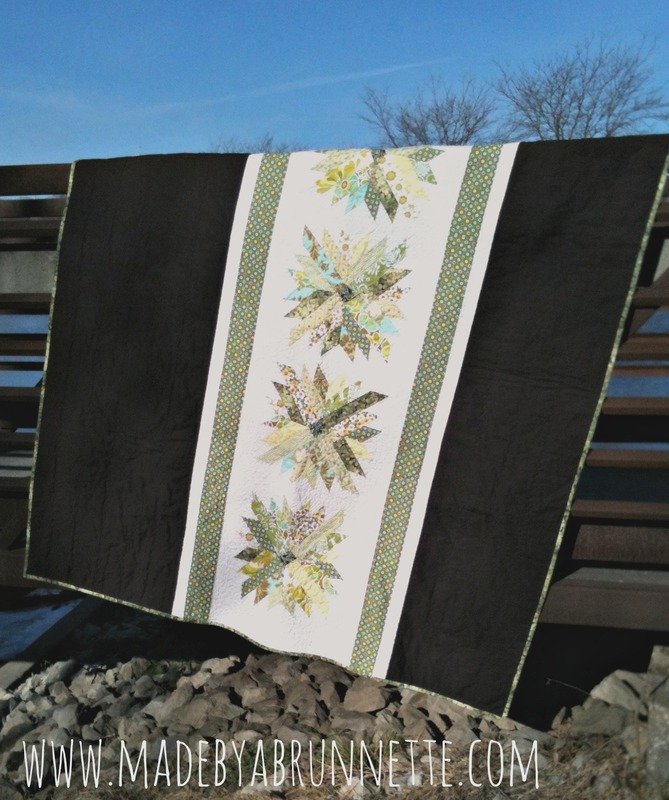 Modern Log Cabin Quilting is full of unique project ideas, combinations of fabrics such as cordouroy and linen, small projects as well as full quilts–worth checking out quilters! Penny, Jill Mc and Meghan all brought copies of this to share with the group and raved about it! Etta brought a block reference book (one of the biggies–as did Linda) and she also brought this book on fabric manipulation. I have looked at this book online before from the standpoint of wanting to get better at my garment sewing, but I hadn’t looked at it from the perspective of quilting before… Anyone with any interest in art quilts would find this book to be a great addition to your library. One thing we all agreed on, while we may not actually read all of these books, we love to collect them and great photography (read: eye candy) is essential to draw us in and satisfy our hunger for them. I wrote a post over two years ago, about utilizing quilting books from the library. I still stand behind each of those books as great reference for any quilter! 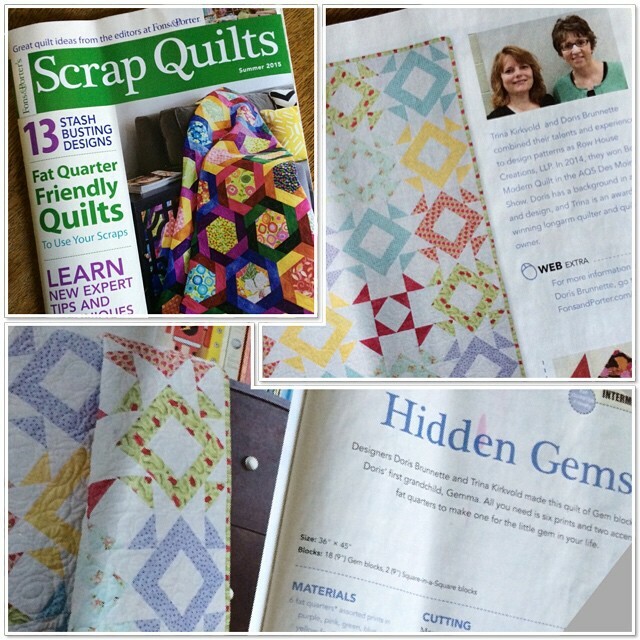 Do you have a favorite quilting book we didn’t mention at last night’s meeting? Please comment, I’d love to hear about it!